To the average pedestrian, it was just a curb. To an observant one, perhaps, it was an oddly misaligned curb. To geologists, it was a snapshot of the earth's shifting tectonic plates — an accidental experiment, a field trip destination for decades. But to the town of Hayward, it was just a bit of subpar infrastructure. "Then, one early June day, a city crew decided to fix the faulty curb — pun intended. By doing what cities are supposed to do — fixing streets — the city's action stunned scientists, who said a wonderful curbside laboratory for studying earthquakes was destroyed." Geologist David Schwartz of the U.S. Geological Survey spoke with NPR on Wednesday. He has been visiting the curb for 30 years. 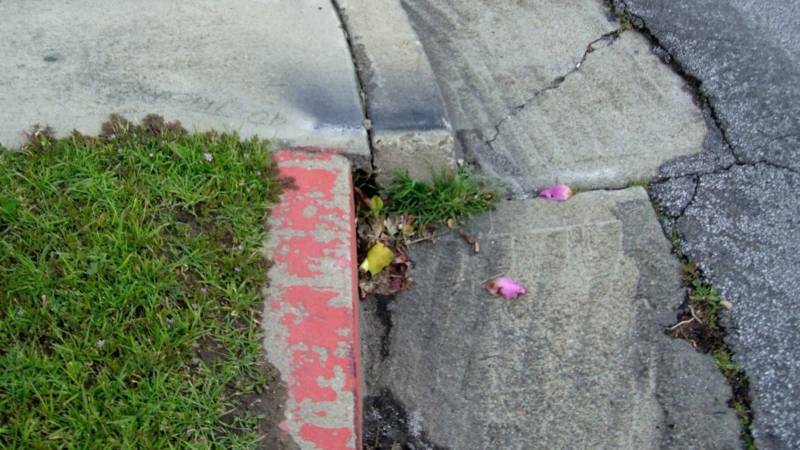 He says the fault that broke the curb — the Hayward fault — is "one of the major and most important faults in the San Francisco Bay Area." 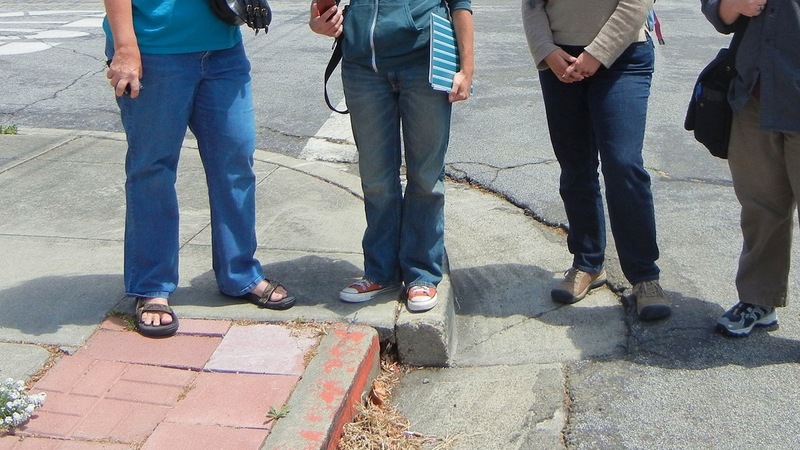 "In probably the late 1950s, your standard sidewalk curb was built across the fault — and the fault is creeping," Schwartz explained. "That means it moves a little bit every year, maybe about 4 millimeters. It broke through the curb and started pushing it out. And over the years it has moved it 8 inches." A website for geology-themed field trips has photos of the curb dating back to the early '70s. They show the separating halves of the curb at first disjointed but overlapping, then growing farther apart. 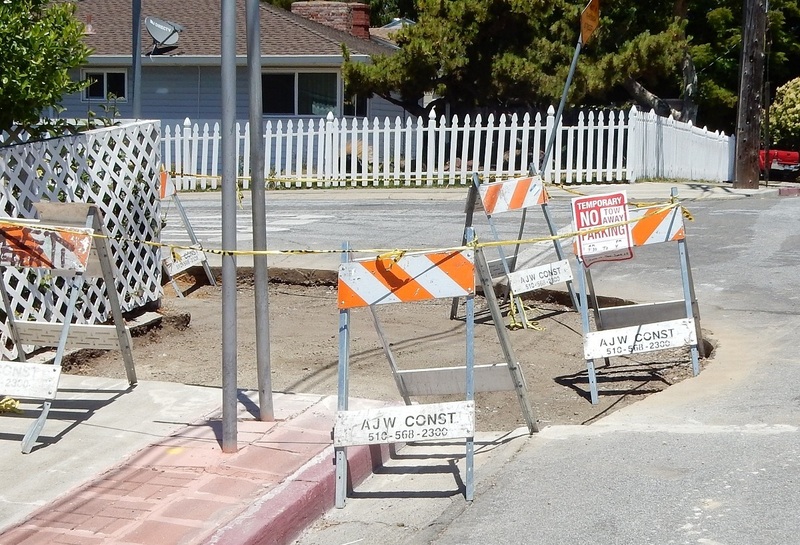 Now the curb is gone — making way for a wheelchair-accessible ramp, the LA Times reports. "Our mandate from our council is that we have safe sidewalks and accessible sidewalks for all members of our community," an assistant city manager told the paper, while noting that they might have acted differently if they'd known of the curb's unusually exalted status. Andrew Alden, a geologist who is also a science contributor for member station KQED, noticed the new construction more than a week ago and documented it on his blog. He mourned the loss of an "icon," one worthy of pilgrimages for geologists. He also wrote that the addition of an accessible curb is "a good thing and undoubtedly overdue. Still." Schwartz told NPR it would have been nice if geologists had been able to speak with the city before the curb improvements began. "Maybe what we need to do in the future is give them a list of places that really shouldn't be touched if they don't have to be," he said. In the meantime, a newly installed curb won't be able to resist the pull of the fault for long, Schwartz says, though it may take decades for it to return to its former glory. "I would think that within a couple of years the fault will have cracked it and will have started to make it slide," he said. "If you wanted to see something really great, I think you'd have to wait about 30 years. "Unless we have a large earthquake, you know, in the interim."